QR Droid Zapper | QR Droid v3.4 released! Home » Blog / QR Droid / QR Droid v3.4 released! 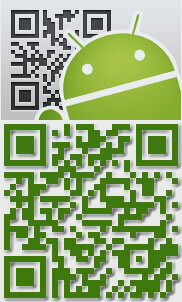 QR Droid v3.4 has been released! Share your contact-card optically with one single click! (literally). Just create a shortcut for your QR Code to be shared. Click here to read a step-by-step guide.